As the food and drink industry is constantly evolving all over the world we find ourselves trying all kinds of weird and wonderful dishes from a bowl of broccoli and tofu soup to a deconstructed cappuccino……what is that? But here in Ireland amongst the modern day menus, you can always count on getting an authentic, hearty, Irish dish/drink that is part of our DNA. 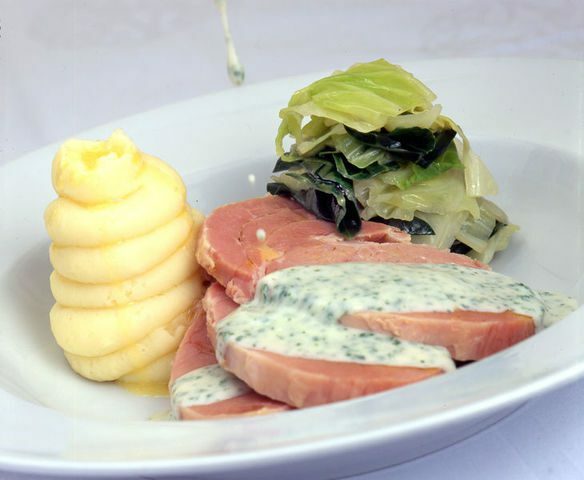 Bacon and Cabbage: This dish consists of sliced back bacon which is boiled to perfection. The water used for boiling the bacon is then used to boil the cabbage giving it a beautiful salty/meaty taste. Generally this dish is topped off with mash potato and parsley sauce. Try this and you will never want to leave. 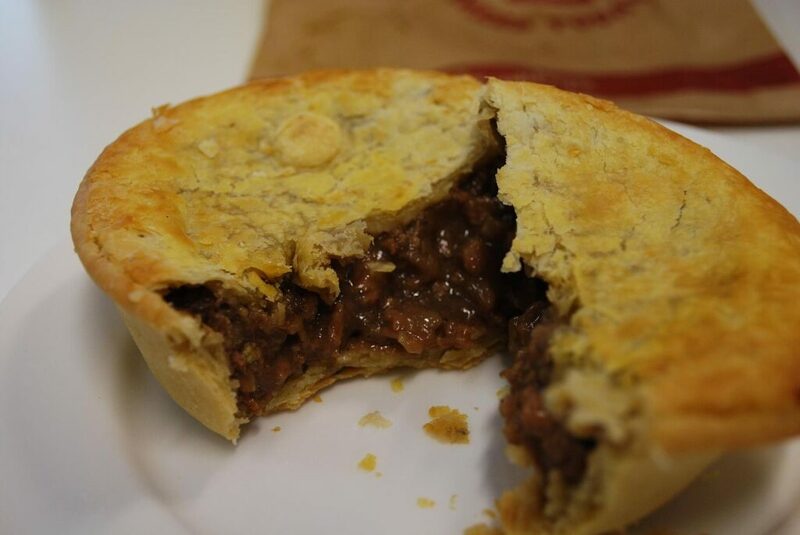 Steak and Guinness Pie: This dish commonly consists of rib/round steak cubed and cooked in guinness with onions, carrots, salt, pepper, and herbs. Pastry is then made with flour, butter and water and then placed on top. This dish will not only warm your body, but also your soul. If it’s a well earned drink that you are looking for to finish off your day of exploring then we have the suggestions for you. If you need to warm yourself up, we would suggest a steaming hot cup of Irish ‘Tea’, or a core temperature rising ‘Hot Whiskey’. 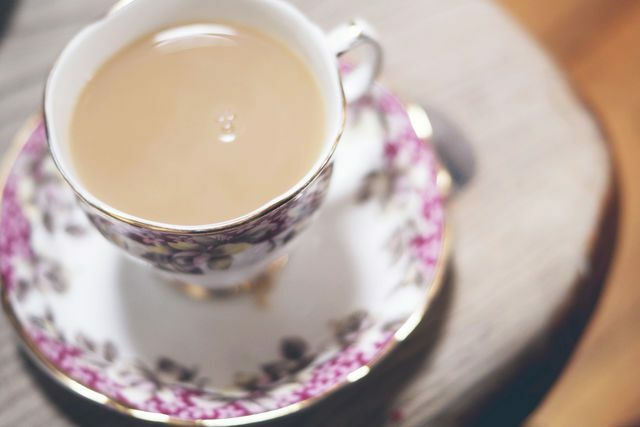 A Cup of Tea: Here in Ireland if you’re busy, idol, stressed, happy, sad, angry or even simply confused, tea is always the answer. We are the second biggest tea drinking nation in the world consuming an average of 5lbs of tea per person every year with Turkey drinking an average of 7lbs. 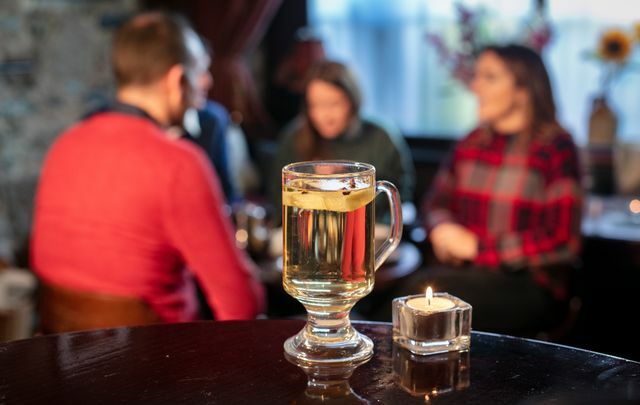 Hot Whiskey: The perfect hot toddy consists of a measure of whiskey, a spoon of sugar, boiling water and a wedge of lemon consisting of whole cloves. This is our age old cure/prevention for getting a head cold/flu, and also for simply warming up. A Pint of Guinness: This rich and creamy beer has a velvety finish that no other stout can compete with. 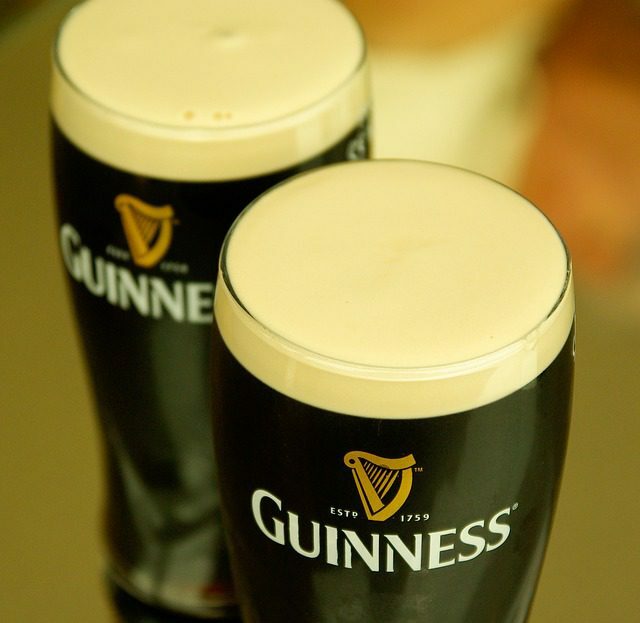 Founded in 1759 by Arthur Guinness this has become one of the most famous drinks in the world. It is important to be patient when getting served a pint of Guinness as the pouring process consists of three parts. Part 1 is filling the glass ¾ full, part 2 is leaving the surge to settle and part 3 is filling it up to the top. Served best accompanied by a bag of ‘Tayto’ crisps and surrounded by friends!